Steve and Pamela Sikkila visit Vida Abundante. Vida Abundante isn’t anywhere near the tourist zone of Cozumel. But Steve and Pamela Sikkila followed the street signs to find the church in the Emiliano Zapata neighborhood. They’re regular visitors to Cozumel. Who could argue with leaving a Minnesota winter for a few days of sunshine and beauty on the island? This time, however, they brought along more than their beachwear. 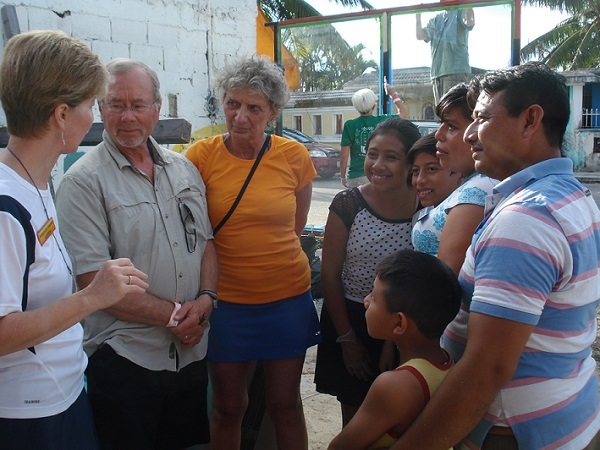 “We saw photos of some friends taking donations to people in Isla Mujeres and that planted the seed,” said Steve. 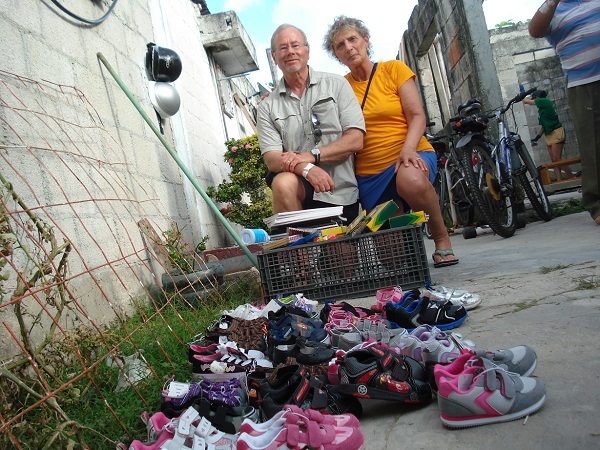 Steve and Pamela Sikkila brought 36 pair of new shoes. Their help turned into more than three dozen pairs of new children’s shoes, a pile of school supplies, and a monetary gift to help with the church pastors’ living expenses. At Vida Abundante, the pastors rely on weekly offerings and donations rather than a salary for their full time work. This entry was posted in Uncategorized on March 9, 2014 by pedersenll. Amen! May the Lord continue to bless this church, Pastors Salomon and Mariela, and the Sikkila Family for answering the call on their heart. And not the least, our dear friends, the Pedersen’s. God bless you all.